You know what puzzles me about businesses in Singapore? The fact that many are still ignoring social media. Or claiming that social media marketing doesn’t work because they’ve tried it and it didn’t work. Or that their customers aren’t on Instagram, Facebook, LinkedIn, YouTube, or Pinterest. What I find strangely ironical is that they often spew such remarks while scrolling through their news feeds on Facebook, sharing a video on WhatsApp, or watching a YouTube video! 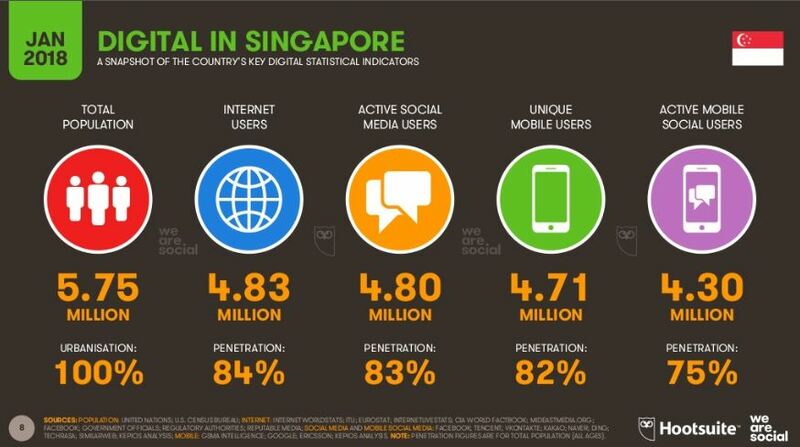 Just in case you don’t already know (although I’m sure you do), Singapore has one of the world’s most Internet and social savvy population. Look at the number of Singaporeans who are online in 2018. There are 4.8 million users who are active on social media, most of whom are also mobile users. 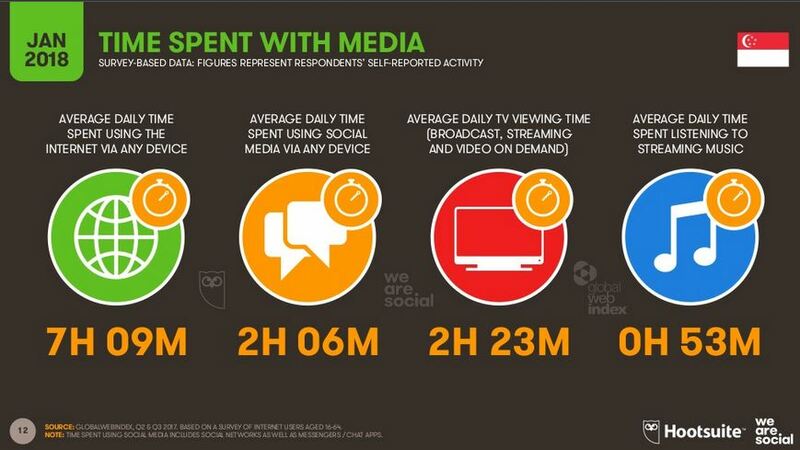 And if that isn’t enough, consider how much time Singaporeans are spending online. That’s over 2 hours every single day on Facebook, WhatsApp, Instagram, Twitter, LinkedIn and other social media platforms. So what is happening here? Why aren’t many Singapore companies and brands succeeding on Facebook, Instagram, LinkedIn, Twitter, YouTube and other social media channels? I believe that there are three important reasons why they fail in social media marketing. Trust is one of the key ingredients of Internet commerce. It is the reason why e-commerce platforms like Amazon, Taobao and Zalora spend so much time, effort and energies in promoting their brands while investing in numerous security protocols to safeguard online transactions. Beyond cybersecurity issues, trust is also won when you consistently deliver value to your networks. You need to keep giving utility to your followers, and keep showing up online. Unfortunately, many local businesses don’t invest sufficient time and energy in building trust. They only talk about their products and services. They push out promotions after promotions, sales pitches after sales pitches. They are erratic in their social media presence. How can you improve trust? Here are three ways you do so. Consistently Educate and Entertain: Provide helpful and useful content that goes beyond your products and services. Make it regular and follow a schedule like clockwork. Demonstrate Social Proof: Narrate your years of experience in the business, and include critical information like the number of clients you have, product innovations over the years, sales figures, and other growth indicators. Tell Customer Stories: Ask for testimonials and share them on Facebook. Or record a one minute video of a customer using your product and publish on Instagram. If confidentiality is an issue, write a case study about your customer. Being trusted and trustworthy is one thing. You can be the most reliable brand in the world, but nobody would buy from you if your customer service is sh*tty. Often, many local brands view social media platforms as a place to market and promote their services. Focused on customer acquisition, they ignore comments and messages from unhappy customers online, or worst, engage in a Facebook fight with them! Beyond the above points, few of them consider their customer’s buying journey. Their social media posts may be engaging and interesting, but their websites could be confusing to navigate. How do you improve online customer experience? Map Your Customer’s Journey: Trace your customer’s purchase pathway, and consider their context at each stage. 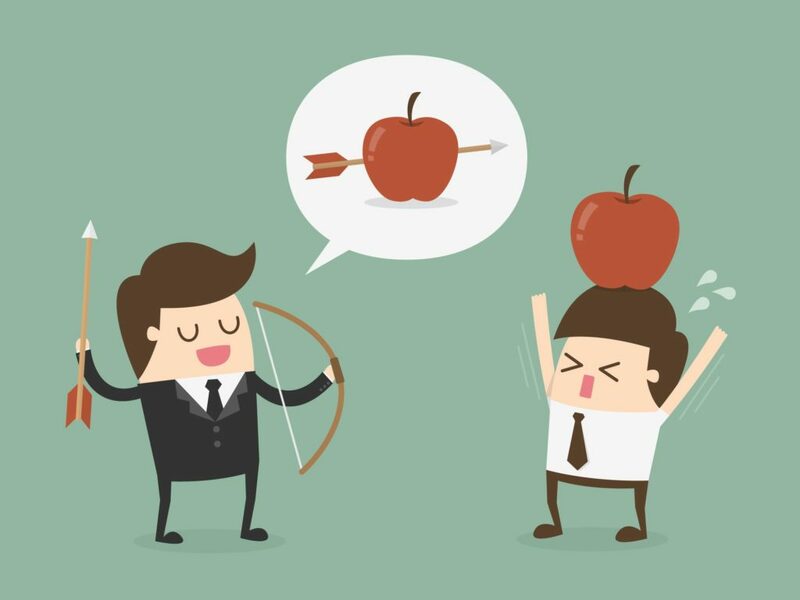 For example, a potential customer researching different options would differ from one who is looking at the price vs value of a purchase. Provide Relevant Content: Serve different content types to meet your customer’s needs at each of the stages above. For instance, you could craft a short video highlighting which solutions would suit which customer type best, and give reasons why this is so. Be Responsive and Helpful: Helping never hurts, and it works far better than selling. On social media, this means being responsive to customer enquiries and always providing them with a response. Social media marketing is a long game. You need to have endurance, resilience and grit to win in this competitive arena. Plus, an almost endless fount of relevant and engaging content to keep your followers happy. Sadly, many Singapore businesses do not see social media marketing as a long-term sustainable strategy. They shoehorn traditional advertising techniques to social media, opting for occasional “big idea” campaigns punctuated by long lapses of silence. Or they put all their money and time behind a single “viral video” and hope that it’ll rocket them to brand stardom. 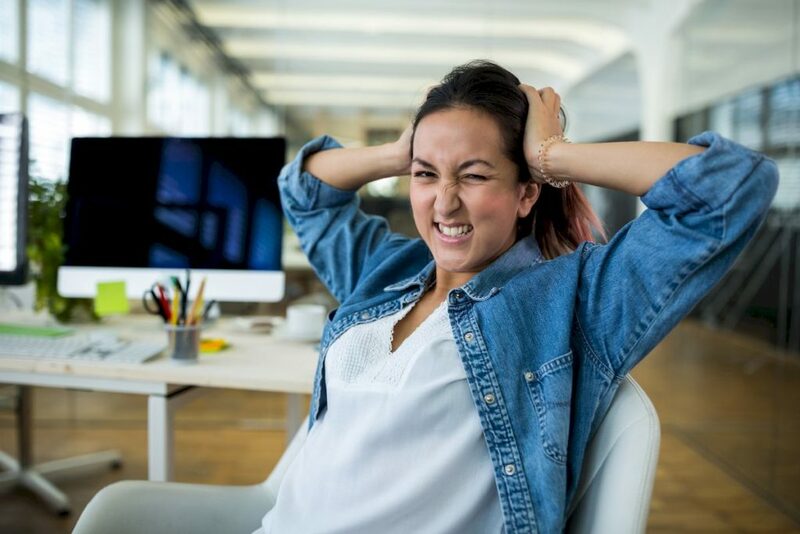 But how can you sustain your social media marketing efforts while preventing burnout? How do you improve your company’s stamina? To work out your social media marketing activities for the long-term, you need to consider these options. 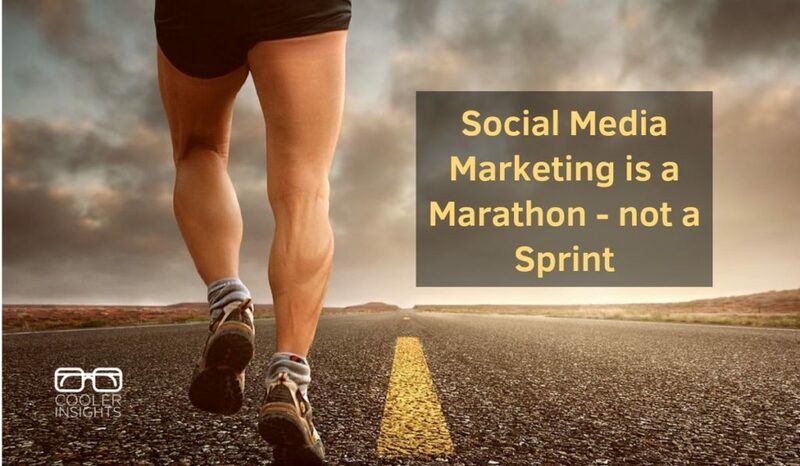 Plan Long Term: Think about social media management as a marathon – not a sprint. Consider how much resources, time and funds you need to keep going. Make social media marketing a key part of your marketing manager or executive’s job scope. Learn Social Media Marketing: Refresh your knowledge (and interest) in different social media marketing techniques by signing up for a course. Or you can read my articles and follow what I tell you. Outsource Strategically: Finally, consider if you should outsource certain aspects of your social media marketing work. Now this really depends on your available budget and inhouse expertise. Read my guide on how you can pick the right agency to work with. Social media is too big to ignore. In smartphone crazed Singapore, social media has become a daily necessity of everyone’s life – akin to eating breakfast or washing up before leaving the home. If you’re an entrepreneur, manager or executive in a Singapore company, you need to avoid these pitfalls. Use the strategies and tactics I’ve shared above to help your business or brand perform better on your social media platform of choice. 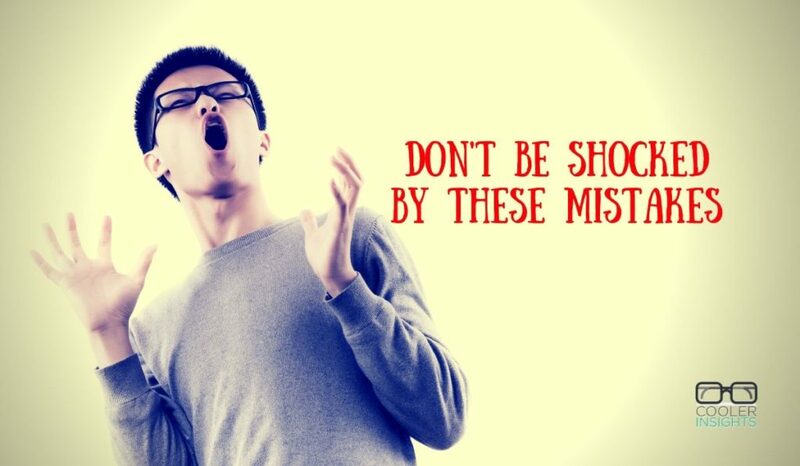 What other mistakes do you commonly see among Singapore companies?